Product information "35mm Bronze/Opal Dual-Tinted Polycarbonate Sheets"
Dual-tinted polycarbonate combining the two most popular tints. Bronze limits light transmission, minimises glare and reduces heat build up. Opal on the inside allows light in but reduces solar gain concentrating on one area. Bronze/Opal helps keep rooms cool, eliminates uncomfortable hotspots, creates a softer light and provides privacy. 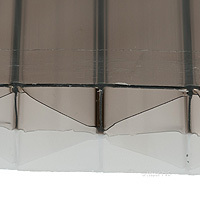 35mm and 25mm polycarbonate sheets are great for conservatory roofs, canopies, atriums, industrial roofing and many more applications. 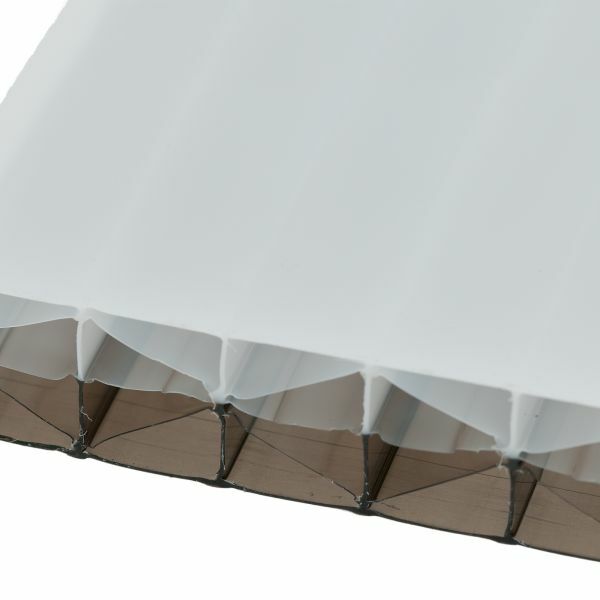 For small applications, such as carposts, pergolas and greenhouses, a thiner 10mm or 16mm polycarbonate may suffice. Related links to "35mm Bronze/Opal Dual-Tinted Polycarbonate Sheets"
Customer review for "35mm Bronze/Opal Dual-Tinted Polycarbonate Sheets"